Marguerite and Armand. Alessandra Ferri and Artists of The Royal Ballet. © ROH, 2017. Photographed by Tristram Kenton. Nothing stands still in this Royal Ballet triple bill that takes us from abstract dance to stories about unrequited love — and then throws in some ragtime for good measure. Wayne McGregor’s Obsidian Tear of 2016 is an intense work that sees dancers’ limbs swing with and around their bodies as they allude to tears crystallising into drops of obsidian (a volcanic rock) as they fall. With strings, wind and brass coming to the fore at different times, the invigorating work is made even more engaging by the ambiguity concerning whether it is really about the tribe or the individual. Obsidian Tear. Benjamin Ella and Joseph Sissens. © ROH, 2018. Photographed by Tristram Kenton. 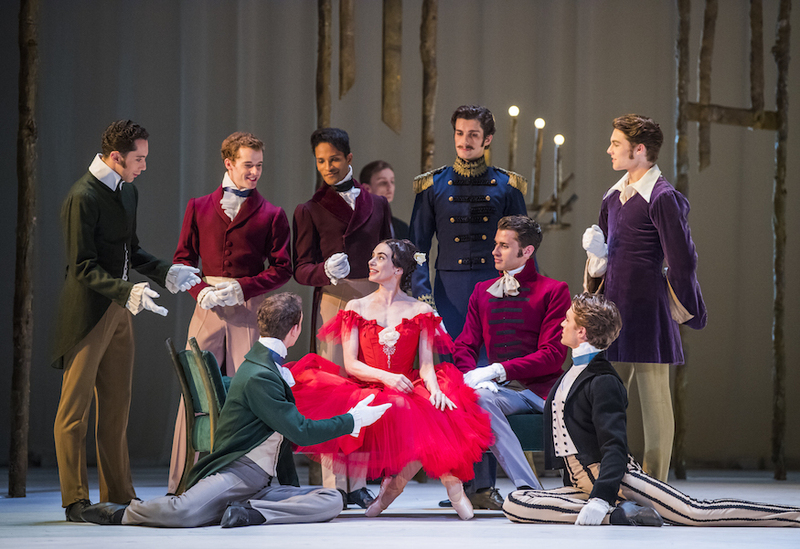 Frederick Ashton’s Marguerite and Armand is based on La Dame aux Camélias in which courtesan Marguerite Gautier ‘scandalously’ falls in love with the well-bred Armand, which is a no-no as far as his father is concerned. It is a highly moving piece with several outstanding pas de deux, and while it tells the same story as the opera La traviata it is much shorter and features more swirling capes. If it gets too emotional, however, Kenneth MacMillan’s Elite Syncopations sees the entire company dancing to ragtime tunes, showcasing the most classy trotting and jiving you’ll ever see. With all three pieces performed to a high standard (casts vary over the run), this is an evening to be recommended. It may begin with a tear but will undoubtedly end with laughter. Obsidian Tear / Marguerite and Armand / Elite Syncopations, Royal Opera House, Bow Street, Covent Garden, WC2E. £4-70, until 11 May 2018.